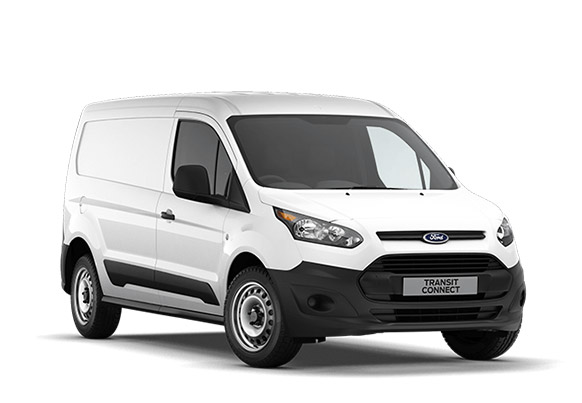 At Spirit Ford we stock the complete range of award winning Ford commercial vehicles. We have a team of fully trained CV specialist’s on site to help you choose the right commercial for your personal or business use. Our in-house Business Manager, Susie Thornton can also assist in ensuring you choose the right finance package. For some businesses choosing how they source company vehicles can be very difficult. There are a number of different methods to choose from. The all-new range comprises four dedicated and distinct vehicles. In descending order of size, they are: Transit Courier, Transit Connect, Transit Custom and Transit. 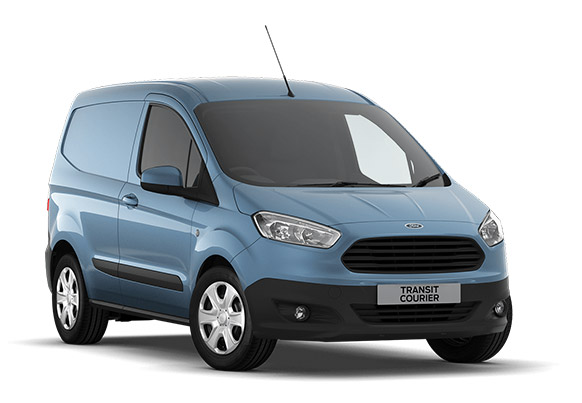 It may be the smallest vehicle in the All-New Transit range, but the Transit Courier will provide class-leading loadspace of 2.3cu.m. And if that’s still not enough, take the folding bulkhead and fold-dive passenger seat option and you’ll get an extended load length of 2.59m. The vehicle will deliver best in class fuel economy and low running costs too, and comes with lots of useful stowage areas in the comfortable car-like can. A comprehensive range of driver assistance and safety features include driver, passenger and side (head & thorax) airbags and standard ESC (Electronic Stability Control). 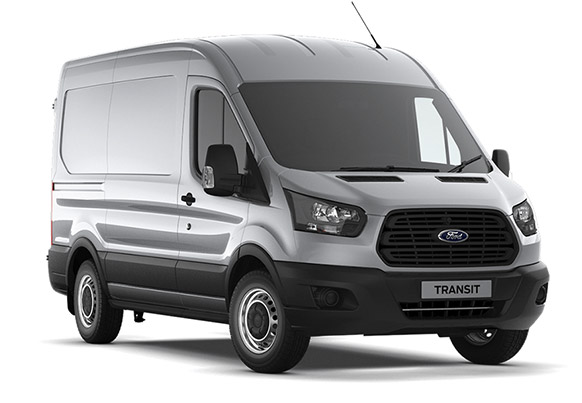 Sharing all the built for purpose commercial vehicle qualities of the range, the All-New Transit Connect will offer flexible loadspace, class leading fuel consumption and the latest Ford technologies including Active City Stop. A flexible Dual Front Passenger Seat allows up to three people to travel in the Van, while the Double Cab-in-Van and Kombi versions are able to carry up to seven people. With a choice of two body lengths, you get either 3.0cu.m or 3.7cu.m of loadspace in the Vans and as much as 1,000kgs payload capacity. 3.9% APR not available on this particular model. 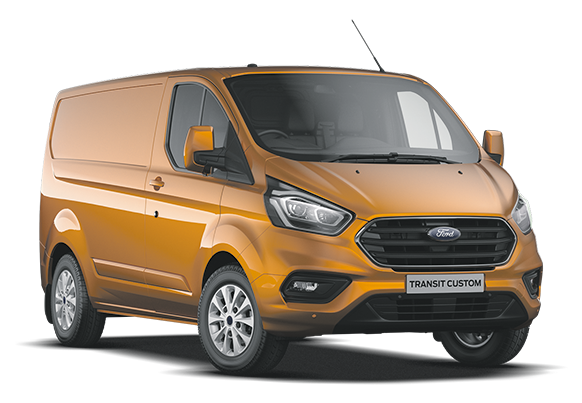 The strikingly effective Transit Custom is the 2nd largest vehicle in the Transit range and offers Vans with 6.0cu.m or 6.8cu.m of loadspace and Gross Vehicle Mass options from 2,500kg to 3,300kg. As well as being versatile and efficient, the vehicle incorporated many innovations, such as a load-through bulkhead that allows 3m long pipes to be stored safely inside even the shortest Van. Transit Custom is also available in Kombi and Double Cab-in-Van bodystyles, delivers outstanding fuel economy and, in a first for a vehicle of this type, has been awarded the maximum 5-star safety rating by Euro NCAP. Setting a new benchmark amongst commercial vehicles, Transit Custom has already won the coveted International Van of the Year 2013 award, by the largest margin in the award’s history. Tough and uncompromising, set to offer class leading fuel efficiency, low CO2 emissions and low running costs, equipped with advanced technologies such as Ford Sync with Emergency Assistance: that’s the All-New Transit. As the largest vehicle in the new range, it offers loadspace from a generous 9.6cu.m up to a vast 15.1.cu.m and Gross Vehicle Mass options from 2,900kgs to 4,700kgs. With Van, Chassis Cab, Kombi, Double Cab-in-Van or Minibus variants, as many as five body lengths, and a choice of FWD, RWD or AWD, Transit is ideal for almost any business, including yours.